Octobotimus wrote: to the people complaining about the price going up 5 bucks..... don't complain. it was either pay an extra 5 bucks to get pretty good mold with painted details, or pay the usual and get meh mold with stickers for details. so i say, let it be 5 bucks for more paint. MSRP is already up 5$, some stores have simply decided not to charge that on their end yet. Hellscream9999 wrote: This is a frickin joke, right? Like, with all the cybertron based media we have, this is the best they could do? This looks like stuff you'd see at a car show right now, eff this. I'd have been down for some war within style stuff, or, hell, resurrect the old war for cybertron aesthetic. The thing that pains me about all this is that in the end, there is nothing really new to what was already going on. In TR, almost everything was pseudo eart but not enough to make it super realistic. 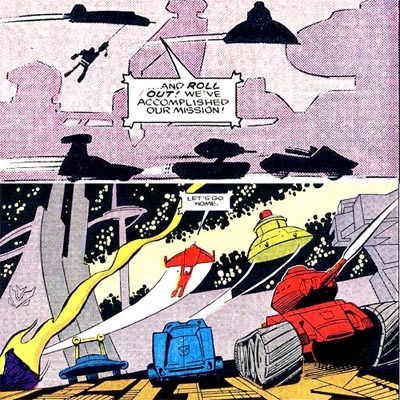 We had Astrotrain for instance which could be considered "cybertronian" and its not like Blitzwing looked exactly like a tank we would see on earth. So this is basically the same ****. 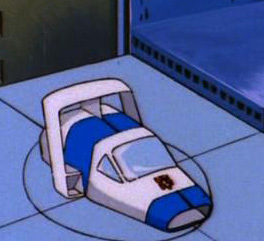 I dont get why Hasbro went out of their way to say this would all be cybertronian now when its not all that different. Doesnt mean I mind these toys though, I just dont get the reason for false hype. I totally thought of the MP when I saw this Sideswipe. They have been incorporating MP designs into their figures as of late, best example would be POTP Optimus Prime. -Kanrabat- wrote: IMO, the WFC design for Optimus is still the one to beat for a Cybertronian look. Too bad we never got a voyager. I'd buy a MP version though. AGREED, now that is a Cybertronian mode! Skritz wrote: I've got very mixed feelings on this, so I'll get the negative out and vent: At this point, 'MOAR GEEWUN' is becoming a very tiring trend. It's fine when they're giving updates to characters which haven't received much move (Which Prime Wars was excellent at, for all it's flaws) however this is a **** disgrace. You call that a 'cybertronian' mode? Honestly this seem like some diehard fanboy G1 purist was ordered to 'design a cybertonian mode' and he only vaguely complied, stacking some random parts on what is otherwise a pure modernized G1 design. If there are better molds in this line (and I hope there are) then it seem Hasbro decided to show the worst first. On to the more positive: these aren't bad in robot mode and that Optimus seems like they were really aiming to release a new CHUG Voyager Optimus. However, like the stubborn and spiteful hipster I am I'll pass on this guy and stick to my heretical choice of making the TR Voyager my 'main Optimus'. In even more positive news: Yay. Targetmasters. Now watch them **** this all up and not release Pointblank, Crosshair and Sureshot. This just scream to me how much Transformers, like any corporate-owned IP, has utterly ran out of any worthwhile ideas and is stuck repeating the same motions by the same fanboy designers appealing to the same jaded aging fanboys. You had an entire **** line, nay will have THREE lines worth of cybertronian designs and this is what you do? Shame on you Hasbro. issue is that if they create anything new with new designs it'll end up just as well as past lines have with brand new ideas, as in it'll be universally hated. So has this been established as a G1-prequel or did Optimal Optimus turn out to be a **** leader and this is a few years after POTP? Would explain the more futuristic Earth based looks rather than the War for Cybertron looks we expected. Man, this whole 'cybertronian' designs that Hasbro has released is "great" ain't it guys? More on other things, I truly hope we get a new Starscream & general seeker mold from this line. The PotP mold was such a disappointment. & if they do end up doing the triangle seekers, I'd be shocked. It'd be a surprise, but also the best thing Hasbro could do right now for those complaining that these don't look exactly... Oh, I don't know, CYBERTRONIAN! Though, at the same time, I kind of get why these designs look similar to their normal G1 counterparts. I don't believe we ever saw Optimus' or Sideswipe's Cybertronian alternate modes in the first episode of the series. I'm assuming the designers had a hard time trying to make an original futuristic design for these classic characters. But that's also assuming that they weren't allowed to make the designs look anything like past cybertronian modes in the slightest. 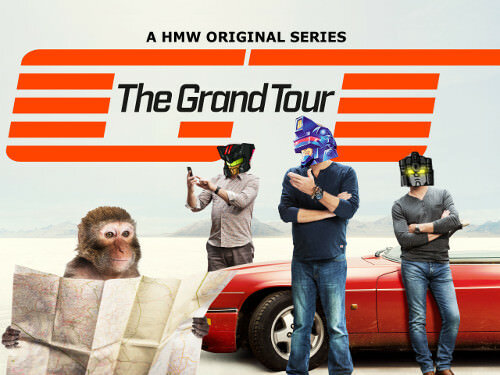 On a side note i really hope this is the last G1 inspired line cause im really tired of seeing the same characters over & over again, i really think its time for a true beast wars revival, finally doing transtech or a brand new series altogether. Seriously how many more G1esque optimus primes do we need? 5 extra dollars is all it took to price you out.... huh.... I would say it’s great that there no longer stickers and the details are actually painted. Megatron Wolf wrote: On a side note i really hope this is the last G1 inspired line cause im really tired of seeing the same characters over & over again, i really think its time for a true beast wars revival, finally doing transtech or a brand new series altogether. Seriously how many more G1esque optimus primes do we need? In all fairness, the Prime Wars Trilogy was made up of a huge chunk of characters that hadn't received modern updates. Gotta say, guys, I'm both surprised and a little disappointed. 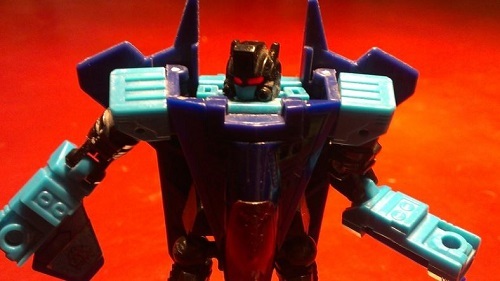 Not about this reveal (well, yeah, Prime's altmode is meh, but I digress), no, but that, well, after four pages of discussing this reveal, not one (unless I missed someone's post and thus apologize in advance) has yet to make mention of what exactly it is that Hasbro is doing with this line. Different altmodes from their Earth ones. This Siege line is meant to be a pre-Earth line, with these toys representing the Autobots and Decepticons in their original Cybertronian bodies before they come to Earth, but done in a way that evokes the laziness cost-cutting measure of Marvel Productions and Sunbow Productions just using the characters' Earth robot modes for their pre-Earth Cybertronian robot modes regardless of how they so obviously already have Earth altmode kibble on their bodies before they ever get to Earth. That's why these new Optimus and Sideswipe figures have robot modes that look like their 1980s G1 Earth body robot modes while their altmodes look... like that. "The First 9 Minutes of 'More Than Meets the Eye, Part 1': The Toyline". Last edited by Sabrblade on Fri Jul 13, 2018 11:22 pm, edited 1 time in total. I think the reason people are upset about this is the way Hasbro marketed these figures. Hasbro when marketing these sounded like we'd get designs similar to that of the Cybertron games & War Within. And needless to say, I'm all for More Than Meets The Eye: the toyline, but I would have like to have known that's what we were getting, not getting excited about something that isn't there in the end. Again, in the end, as long as these figures are good, why even complain, you know? 1) We haven't seen a huge sample size of this line yet, but what we have to go off of isn't terrible. It's not the aesthetic we were hoping for, and I personally really don't like the concept of "battle damage" slapped on everything but we should get some gems out of the line. I'll remain optimistic until I've seen more. 2) I like the gimmick for the line. Arms Micron was always something I wished would be brought over to the US and while we never really got that, we at least get something similar with combining weapons. Unfortunately this also means an excessive amount of 5mm ports and these new little pegs on everyone. 3) Cliffjumper should have another gun according to the description? I'm really hoping the other gun isn't just "the tip comes off his red/white blaster and attaches to the peg on his chest or elsewhere and the white part is its own pistol"
starrhero wrote: Again, in the end, as long as these figures are good, why even complain, you know? Because as adult-children with disposable incomes and access to the internet, complaining is our favourite past time and we can even do it while sitting on the lawnmower mowing the lawn. Weird, they have gone for giving them the 'effects' like they do with Marvel Legends figures of blaster fire etc and then give them a non cybertronian cybertron mode. The target master looks good, sideswipe looks good but I have less than zero need for him and not sure about vehiclemode side panels that seem to have combiner wars deadend/breakdown look which spoils the vehicle mode. Optimus truck mode, too many windows and less than zero need for him. As bad as the war for Cybertron games were at least they made some effort on the cybertron modes. Maybe there will be a few cybertronian beast/monster designs in the mix but so far it looks like I will have little interest in any of these. Might be worth looking out for characters that didnt have a toy release in cybertron,energon, games (hell, even the armada figures have a more cybertronian look than these do). Fingers crossed for an odd generations style figure, but if not it's a three year minimum wait for this line to pass over. I'm still interested to see what they do with the micromasters in this line so I'm sure there will be some decent new stuff. I am really happy for these and I can't wait for the rest of the line. Bringing back Targetmasters was a great idea and thankfully they did'nt ruin it. Since this is "Cybertronian" themed, a new Galvatron should be a no brainer. I'm not sure Victory Saber would be here, but I am wondering if they will make a Titan Class Omega Supreme. Now, Prime's truck mode is cool, if not a little weird, but that's G1 cybertronian modes for you people. The battle damage is a nice addition, and it's nice to finally see a retail figure like Optimus. I think he has great complexity, he looks great for CHUG , and it's refreshing to see wrist rotation, waist rotation, and ankle tilt all in one figure. Thank you Hasbro! Nathaniel Prime wrote: I am really happy for these and I can't wait for the rest of the line. Bringing back Targetmasters was a great idea and thankfully they did'nt ruin it. Since this is "Cybertronian" themed, a new Galvatron should be a no brainer. I'm not sure Victory Saber would be here, but I am wondering if they will make a Titan Class Omega Supreme. Now, Prime's truck mode is cool, if not a little weird, but that's G1 cybertronian modes for you people. The battle damage is a nice addition, and it's nice to finally see a retail figure like Optimus. I think he has great complexity, he looks great for CHUG , and it's refreshing to see wrist rotation, waist rotation, and ankle tilt all in one figure. Thank you Hasbro! I'm a bit confused about the line about seeing a retail figure like optimus? Also I wouldn't class his truck mode here as cybertonian mode, I think sabr is more on the money with his theory. Which is annoying as we need less g1 at this point, especially of the popular characters. That said, I do believe this is when hasbro will unleash titan omega supreme on us, giving devestator his rival. I think this is the coolest line since years. I absolutely like Optimus and Sideswipe, both robot and alt mode, as they show the G1 style but reinterepreted. Morevoer, they look as they are REAL action figures, detailed and posable, and not those horrible things Hasbro is releasing now. After the overabundant and pointless (and costy) TLK line, something which is worthy to spend money for. I'm looking forward to have them and I really hope they will reach Italy. 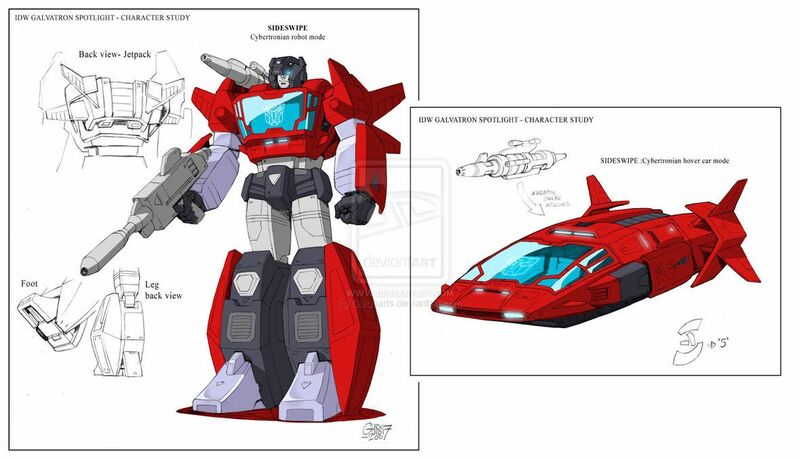 As You can see in the picture, the design of Sideswipe is ad hommage to another Lamborghini: while G1 alt mode was the Countach, this is a Sci-Fi Urraco. Burn wrote: So has this been established as a G1-prequel or did Optimal Optimus turn out to be a **** leader and this is a few years after POTP? Again, I like the idea of this being after "The Rebirth," leaving Earth behind in the Transformers War on concentrating instead on the newly revitalized Cybertron. It would be fun to expand the G1 cartoon continuity all these years later with some new stories and adventures, taken in an entirely different direction than what Takara did in Japan to keep the cartoon on the air. Barricade.it wrote: After the overabundant and pointless (and costy) TLK line, something which is worthy to spend money for. Nah, I'd take almost any of the interesting and detailed non-repaint Deluxe and Voyager toys from TLK (i especially love Bee, Megatron and Cogman, oh and Prime once I'd painted, stickered, got new weapons for him) over these two bland interpretations of G1 'cybertronian' Prime and Swipe. Sideswipe looks more like a 70's concept car (sorta like Classics Hot Rod was based on) than an alien vehicle. 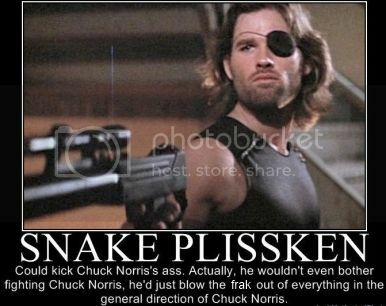 yeah, without the missile thing, the Lamborghini or even the G2 comic crazy weaponry, he's just boring Transformer. But yeah main thing here is that they could have been way more inventive. As some already said this just looks like his earth mode robot mode (without the lambo bits) so they didn't need to make him look this bland. Could have used some more interesting shapes and use of colour to avoid that blocky Lego look this figure's robot mode has. Oh well. Let's see what else they do with the other characters. I'm still hoping to see some more obscure characters get a decent update but the first batch appears to all be the standard cartoon car characters. 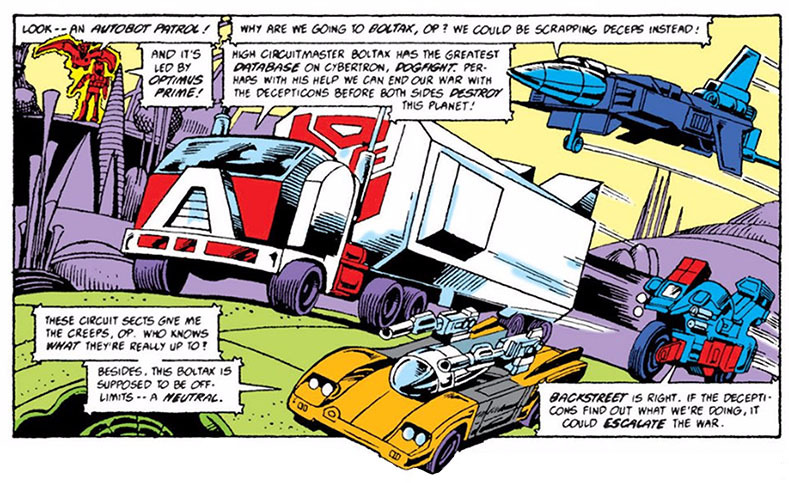 Barricade.it wrote: As You can see in the picture, the design of Sideswipe is ad hommage to another Lamborghini: while G1 alt mode was the Countach, this is a Sci-Fi Urraco. Kinda proved the point that if it looks that much like an Earth vehicle they kinda failed at the cybertronian thing. Well... I's just my personal point of view: I don't care that much about how much those veichle look "cybertronian", even though the line is about Cybertron. I just want an awesome design and i think those action figures have got it both in alternate and in robot mode. Say what you want about his alt mode, that Optimus/s robot mode is one of the best looking ones there is. 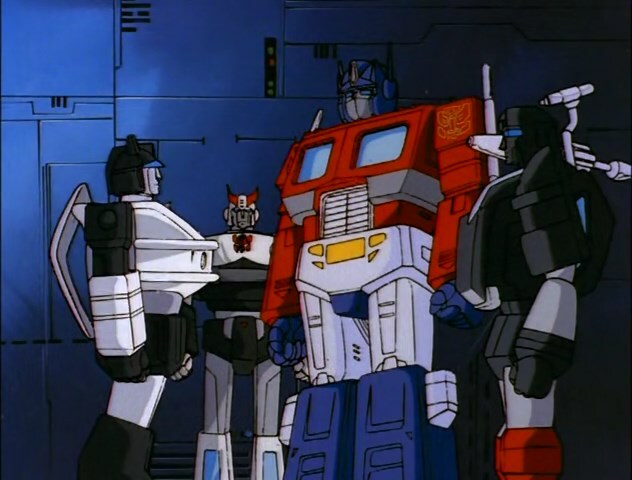 From the look of Prime and Sideswipe alone I have a theory for the Motif of WFC: It appears to be based of figuring out a practical version of the opening of the G1 Pilot; More than meets the eye. Now bear with me here, in that episode, because they didn't want to waste time making a whole slew of new designs for half an episode, the Autobots and Decepticons robot modes were identicle with their cybertronian forms to their earth ones, despite the seekers, Wheeljack and Bumbelbee turning into vehicles far different to what they'd transform into on Earth. 4,571 pages were recently viewed by 862 unique visitors. This page was viewed 1 times on Saturday, April 20th 2019 7:25am CDT. © 2019 Seibertron, Inc. DBA Seibertron.com. All Rights Reserved. Established June 2000. Seibertron.com is owned by Ryan Yzquierdo.